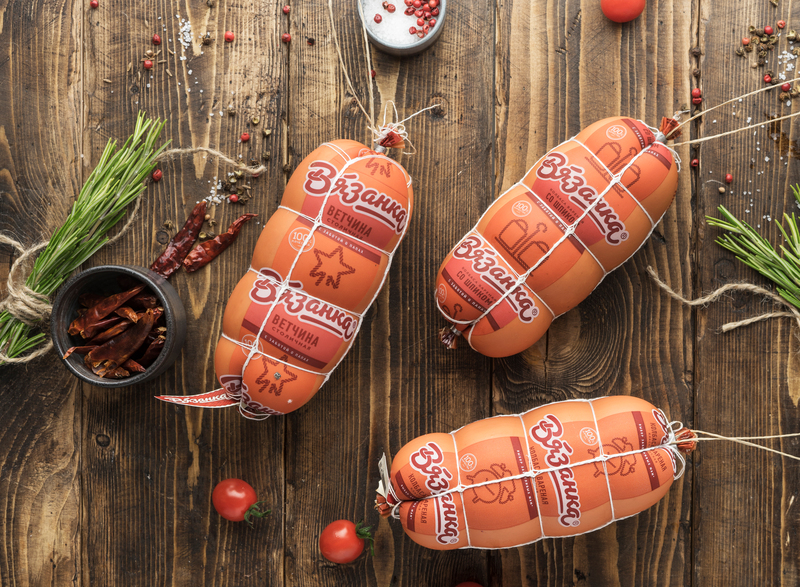 The young brand “Vyazanka” exists for less than five years but has already become the #1 choice of mothers with children among all the producers of cooked sausage in Russia*. In 2018, the company ABI Product has redesigned the brand. 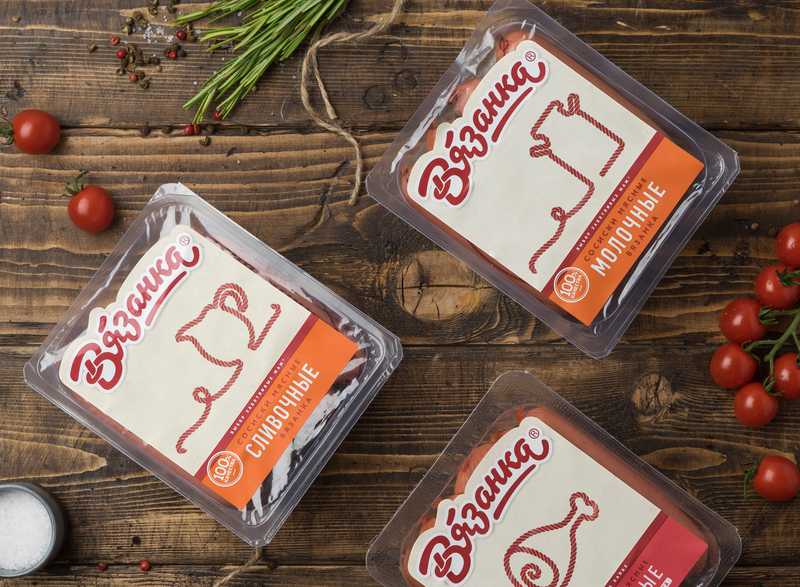 The key objectives of the redesign were: to make the brand more modern and emotional while strengthening the positioning idea “Vyazanka” – that is what the whole family loves”, and also to ensure the visibility of the product on the shelf by creating a single brand block. 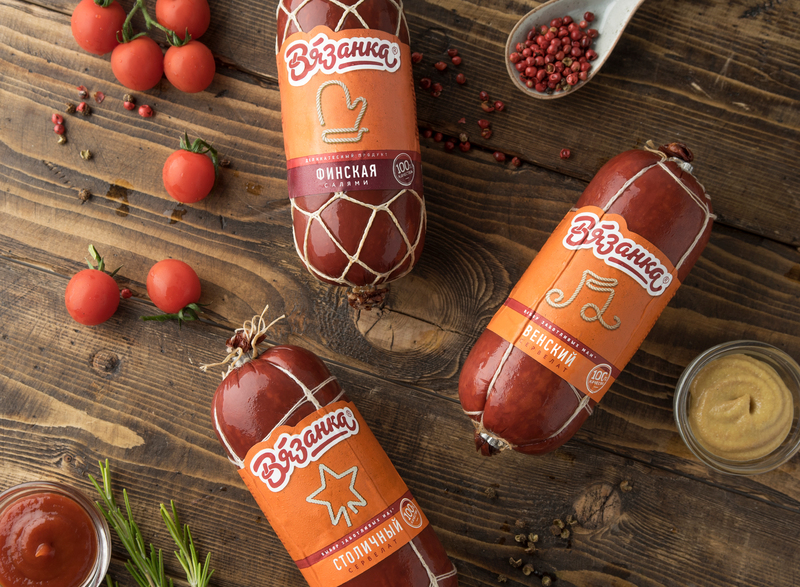 The sausage “Vyazanka” differs from the competing brands in appearance: the net on the exterior looks handmade, which gives the product a more natural and attractive look. 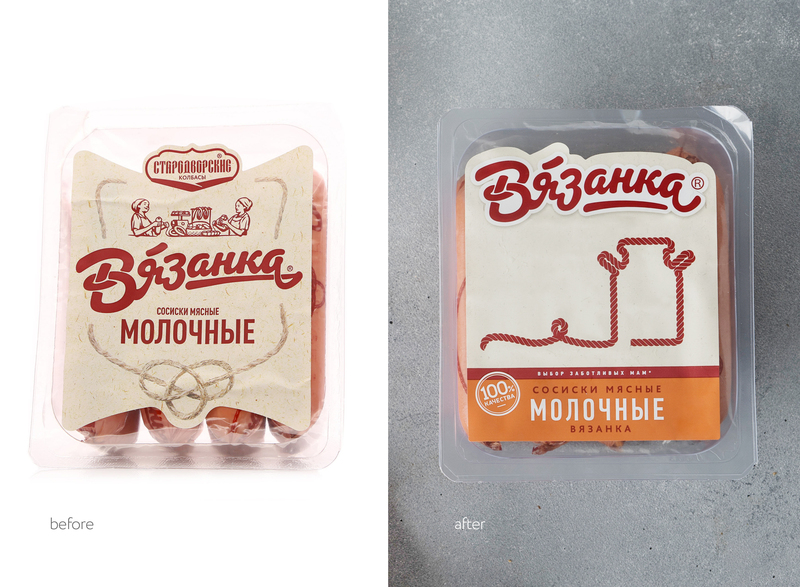 We have strengthened the emotional connection with the brand by using string as a key visual element on all types of packaging. Another element of emotional connection is the orange color we have used in all the lines of the product. As our product is addressed, first of all, to mothers with children, the stylized strings are used not only as symbols, but also as a game element. 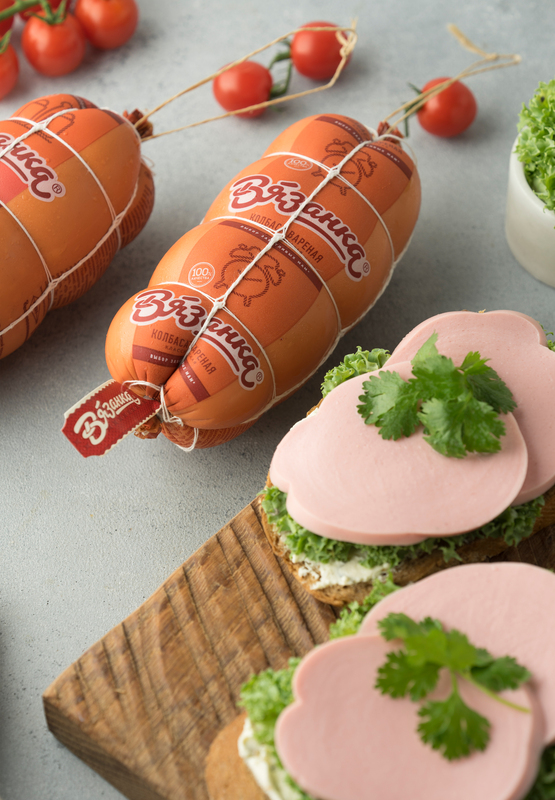 You can see an alarm clock on the breakfast sausage, mittens on the Finnish one, a milk can – on the milk sausage. Navigation through the products of the brand has become simple and clear. Caring for your loved ones is the most important value of the brand. Our task was to reveal this value on the packaging not only in visual but also in verbal communication. 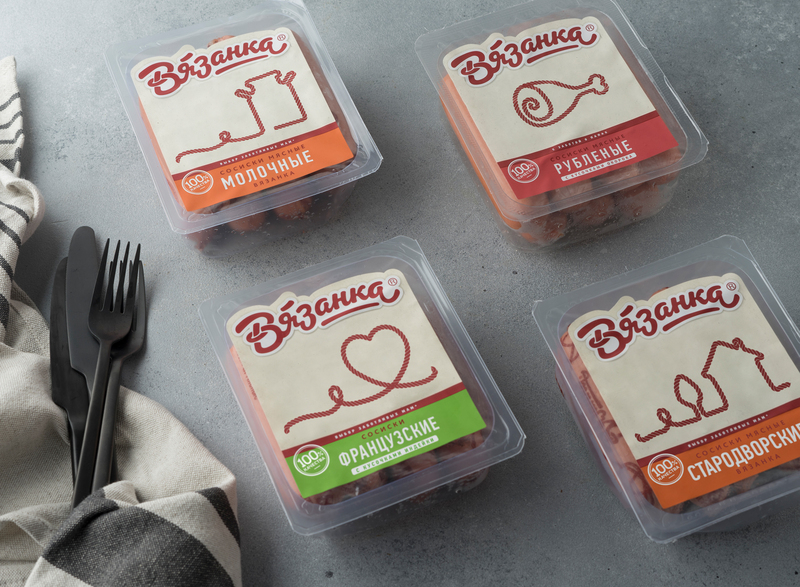 The text message “The choice of caring mothers” enhances the integrity of the brand perception and is addressed directly to the target audience of “Vyazanka”. 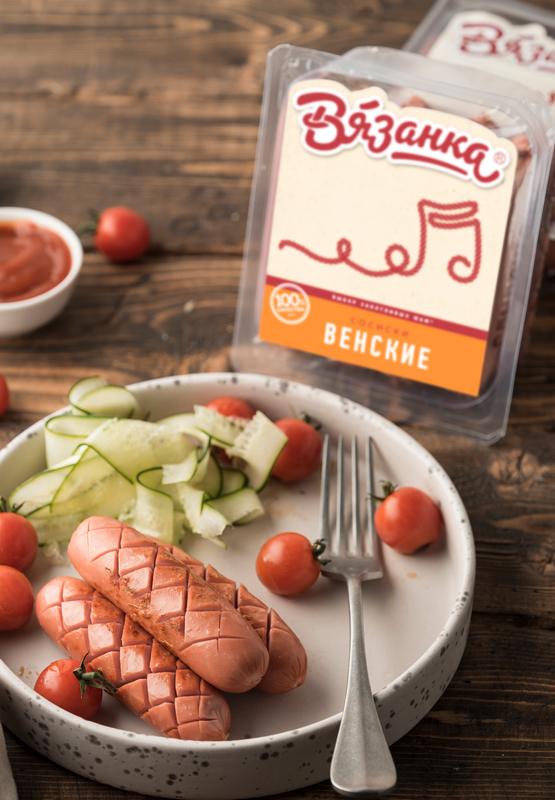 In the line of sausages there is also a special product for dads: the inscription “With care for dads” accompanies the “Chopped sausage with pieces of ham”. The updated brand appeared on the shelves in the late spring of 2018 and has had advertising support. In the last 3 months ABI Product has already noted a significant growth in sales.